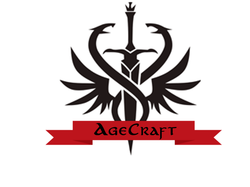 Agecraft is a work in progress mod which will add a ton of new decorative blocks based back in the medieval ages the mod will also be adding new armors weapons, mobs, and possibly siege weapons. The AgeCraft mod is in early development but we are working hard and hopefully we will have a release out for the mod in a month or so. At the moment the whole team are working on the mod we would be more than happy for any else to join in and help out. If you are interested please contact us via the suggestions page and leave a way for me to contact you. For more information about the mod check out the post on minecraft forums by clicking the button below.